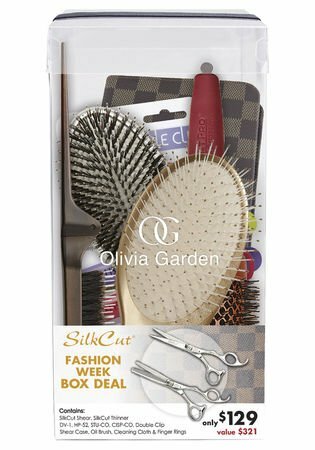 5.75" Silk Cut Shear, 35 Teeth Thinner DV-1, HP-52, STU-CO, CISP-CO, Double Clip Shear Case, Oil Brush, Cleaning Cloth & Finger Rings. If you have any questions about this product by Olivia Garden, contact us by completing and submitting the form below. If you are looking for a specif part number, please include it with your message.